During the past 40 years, Will has studied with teachers from various spiritual paths and mystical traditions. In the early 1980′s, Will was initiated by Pir Vilayat Inayat Khan into the Sufi Order Of The West. Sufism taught him that all paths, at their core, ultimately lead to the one reality (Nyogen Senzaki on Sufism and Zen). In 1986, Will had the opportunity to travel to India and visit many holy places, including Bodh Gaya, where Gautama Buddha attained unsurpassed, supreme Enlightenment. This experience touched him deeply and ultimately led him to Zen Buddhism. From 1989 to 1998, Will lived at the American Zen College in Germantown, Maryland. Will practiced Zen with Zen Master Gosung Shin, the 77th Patriarch in the Lin-Che lineage of Korean Zen Buddhism. An azalea garden surrounds a 30-foot pagoda of carved Indian limestone that houses Buddha Sakyamuni’s Saria, pearl-like remains of the historic Buddha Sakyamuni. The Saria were donated to the college by the national treasury of South Korea and are the only Saria in the United States. Other buildings on the farm were renovated for dorm and resident space and an art gallery. Will lived in the old Farm House on the property with his family for a decade. Those formative years laid a strong foundation on which he continues to deepen his practice. 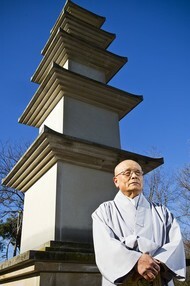 In a private meeting with Zen Master Gosung Shin in 2011, Will was given permission to teach meditation. On Sunday April 6th, 2014, during the Hana-matsuri (birth of the Buddha) Celebration at the Sarasota Zen Center Will took the sixteen Bodhisattva precepts and received the Dharma Name Genjo Shozen (Meaning – Original Silence, True Zen) in the Soto Zen tradition from Reverend Daito Zenei Thompson. He was a sangha member of Sarasota Zen Center since it’s inception from June 2013 to April 2015. He helped the sangha to grow and facilitated Zen Meditation (zazen) when Rev. Thompson was not able to. He is no longer affiliated with SZC. Will has also furthered his Buddhist Studies by taking select classes in Buddhism at Buddha Dharma University. He believes that beyond any concept, category or culture, there is true intimacy with all of life. He is grateful to all those, past and present, who have shown him the way. He is dedicated to adapting Zen Buddhist teachings to Western culture. 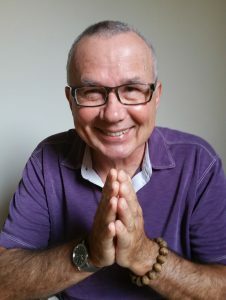 Currently, Will facilitates the Sarasota Ordinary Zen Sangha which he founded in May of 2015. Ordinary Zen Sangha is a practice group where you can enjoy the benefits of sitting in a community with other Zen practitioners.